JDG Sport have continued their long association with Glasgow Clan ice hockey club by launching its new official website. The Clan have undergone a major rebrand over the summer, and the website overhaul has been in the offing for 12 months. It provides a vital modernisation of the site, most importantly making it fully responsive, replacing the previous site that was also built by JDG several years ago. Using the WordPress platform, the site builds on the success of other JDG clients, including Manchester Giants and Hunslet RLFC. Gareth Chalmers, Chief Operating Officer of the Glasgow Clan, said: “We have worked with James and JDG Sport for almost five years now. We have known for sometime now that we needed to make our website mobile compatible. 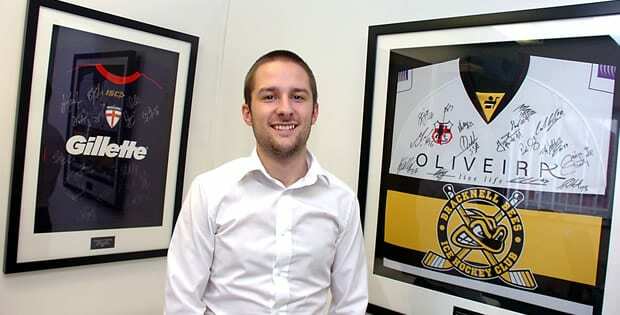 “We worked with James to implement a flexible and responsive WordPress around the requirements and demands of the club. 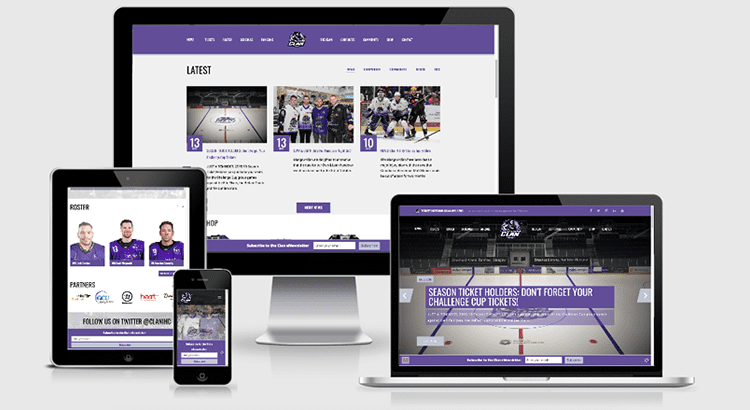 We’re delighted with the final platform – one which will provide the Purple Army will all the latest news, fixtures, results and imagery from the Glasgow Clan. James Gordon, Director of JDG Sport, said: “I have nothing but respect and admiration for Glasgow Clan as an organisation and what they have done in sporting terms on and off the ice since their foundation. “This project has been ongoing for some time and it was a year ago since I spent a couple of days with the guys there to discuss their plans and strategy for moving forward.